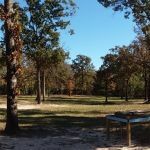 Ask fellow campers about "The Oaks at Alba RV Resort, LLC" and nearby attractions. This is an extended stay/long term stay park only. The park has new owners that have plans to expand. It's an adult's only, 55+ park, with less than 20 sites in the park. The free laundry is nice. Direct TV is available for additional charge. Cell service is non existent. We used wifi calling. The wifi is free and is capable of streaming so we watch a lot of Netflix and Amazon Video. The park is gated so the traffic in the park is limited to registered guests only. It's a good value for the price. 8 miles from Mineola for groceries. There is traffic noise from Highway 69 that runs in front of the park. We camped at The Oaks at Alba RV Resort, LLC in a Motorhome. Mineola or Emory are the closest shopping for groceries and restaurants. The park is approximately 5 miles from Lake Fork (supposed to be one of the top bass fishing lakes in the country but we don't fish). Wifi doesn't work, laundry room has no air and 2 working machines. Grounds are not kept up. Under new management. I left along with 2 other RVs and will never go back. 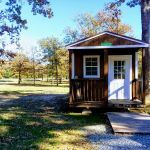 We camped at The Oaks at Alba RV Resort, LLC in a Travel Trailer. 10 miles to the nearest town or lake. My wife and I stopped by and looked at this park trying to find a full time place for us to stay. The park was fairly nice except for lot #11 which had a lot of junk around the RV and even an old couch in the front yard covered with a blue tarp. Their website says they provide wifi but we spoke to some residents there who said the WiFi doesn't work most of the time and they've reported it to the owners and they won't fix it. The rates seemed to be a little high for the location and amenities provided. Just thought people should know soon to the next one. 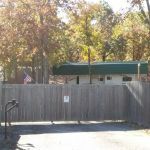 We camped at The Oaks at Alba RV Resort, LLC in a Travel Trailer. We only do long term, no one stayed here in December. This is a disgruntled tenant on lot 11. Guess he wants to get evicted. The only truth is he is the messiest person and no couch. The WI FI works anywhere in the park with my Apple computer or an I phone, there are some people who have junk phones and expect their junk phones to pick up my WI FI on their lot. Well my apple works everywhere. Why is there junk my problem-go to the Laundry or Clubhouse and use your junk phone. If so bad then move! Great place to live. It's a retirement park. Gated, beautiful 6 acres. Lots of trees. Has laundry room,club house w/ pool table and workout room. Great people living here as well. Found my heaven here in Alba. We camped at The Oaks at Alba RV Resort, LLC in a Travel Trailer. This is a lovely RV park. The RV's are spaced nicely apart, and the whole park is covered with trees. Fenced, and gated. They have a laundry room, an exercise room, and a club house that is just finished. Also a dog park. Close to Lake Fork, and Lake Holbrook. Very caring management. 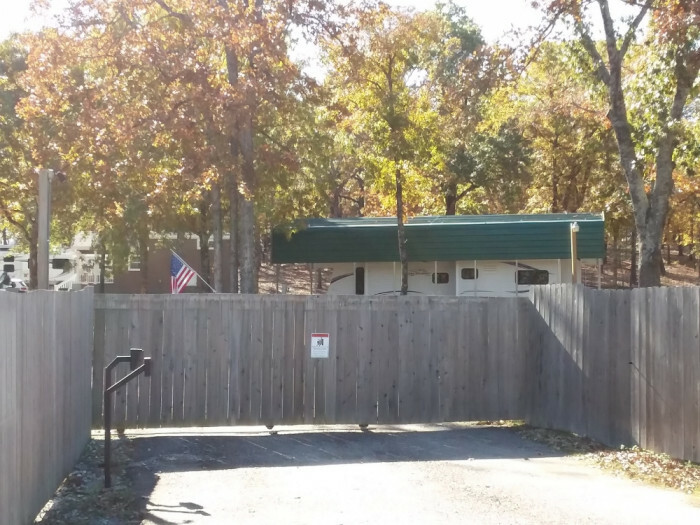 We camped at The Oaks at Alba RV Resort, LLC in a Fifth Wheel. Very nice and shady with tons of trees. Gated with secure PIN access and completely fenced and well lit at night. Quiet and peaceful. Highly recommend! Laundry facility available for long-term residents. We camped at The Oaks at Alba RV Resort, LLC in a Motorhome. Conveniently located near to Tyler with access to shopping. Are you affiliated with The Oaks at Alba RV Resort, LLC ?